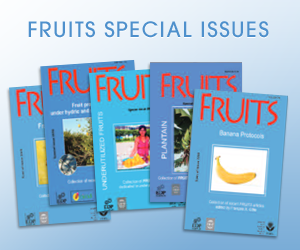 Fruits is a scientific journal for original articles and reviews on fruit crops in temperate, Mediterranean, subtropical and tropical regions. Recognized by the International Society for Horticultural Science. The publication of Fruits has ceased with the last issue of 2016.